Here is a story borrowed from my future memoirs that Raymond of "Your Just Desserts" (one of the Heavenly Bakers on the Heavenly Cake Bake Along inspired me to share because of his insightful comments. He wrote on his blog about the Jancsi Torte saying: This is the recipe that made we want to buy Rose's book and made me want to join the Heavenly Bakers. Years ago when Food Network was actually about food instead of silly contests to see who the next giggling, simpering wanna be chef personality will be or which no talent hack was going to put their name on anything to make a buck there was a show called The Two Fat Ladies. Now, I am not saying that these ladies were not about entertainment because they certainly were entertaining BUT they were also about the food. They cooked honest food with butter and cream and sugar and bacon and they made no apologies for it. An important thing to note here is that while they were entertaining you, they were also teaching you how to cook. They were showing you techniques. They weren't trying to sell you pans and beakers and camp stoves and worthless cookbooks. They weren't featuring their husbands, sons, daughters, nieces or nephews on every show. They just cooked and had fun doing it and we watched and learned and had fun learning. Isn't that what its all about? At any rate, I am getting off onto one of my rants about things that none of you care about. Back to this recipe. 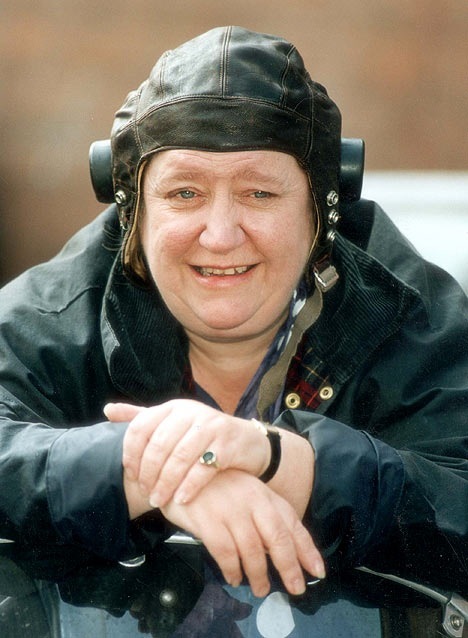 The Fat Ladies motored around the English countryside on a vintage Triumph motorcycle with a sidecar and they stopped off at various places and cooked for people and special events. One of these special events was a village fete and they were asked to bake cakes for a bake sale. One of the cakes they made was called Rigo Jancsi Chocolate Slices. Rigo Jancsi, it turns out was a gypsy fiddler who was beloved in polite society in Budapest in the 1920's. It turns out the it was rather more than his music that was adored by the ladies of polite society and a huge scandal ensued. None the less, we got these fabulous slices. On one of my European trips, I happened to be in England and I just happened to have these delicious morsels. I looked and looked for a recipe and low and behold here were the Fat Ladies giving me one. I have made them often ever since. Imagine how intrigued I was when I saw this version of one of my favorite recipes. This torta is slightly different from the Fat Ladies chocolate slices. Their recipe uses only 3 eggs and also has a bit of flour in it. It is baked in a sheet pan and the sheet cake is sliced in half. A chocolate filling is spread over one half, then apricot jam and then a bittersweet chocolate icing. The second layer is put on and then they are cut into rectangular slices and dusted with cocoa. They are marvelous."